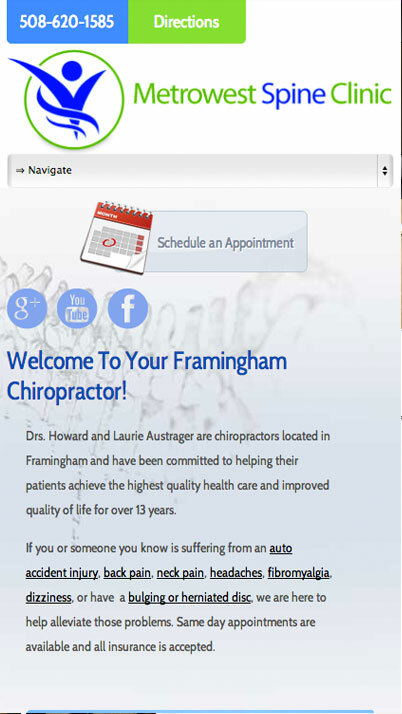 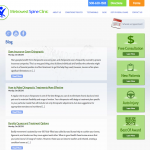 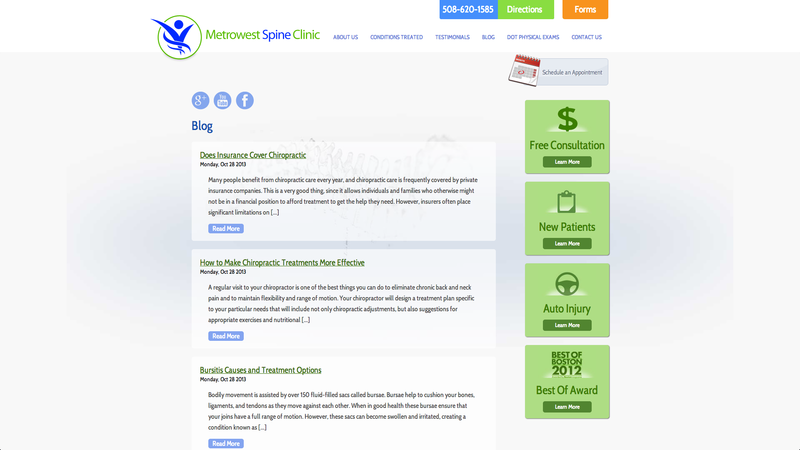 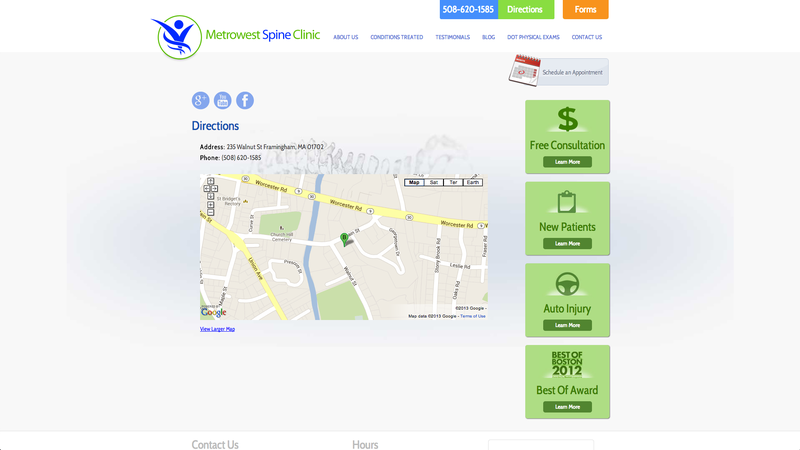 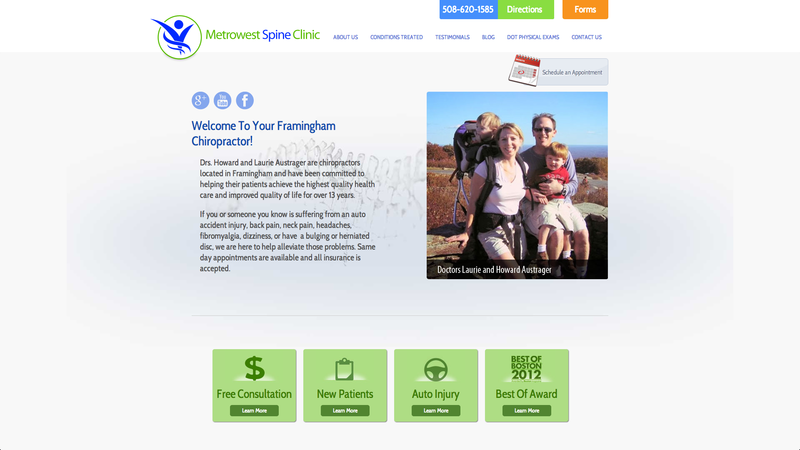 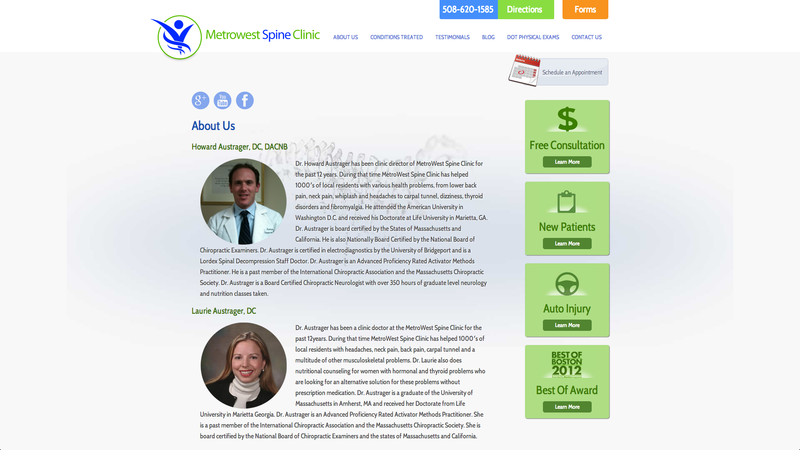 Metrowest Spine Clinic is a simple yet effective design. 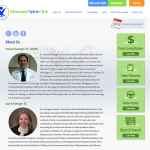 It has a clean medical look that follows along with the company’s image. 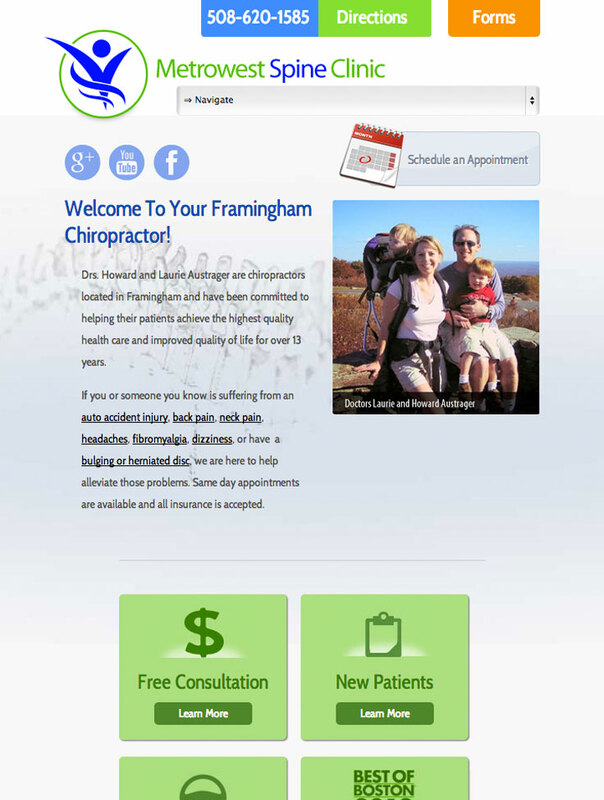 It also has a very clear call to action with the large “Schedule an Appointment” graphic that catches the users eye and tells them what to do next.